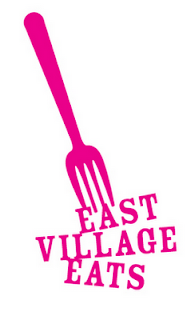 We all know that the East Village is both a foodie destination and the home to many arts and cultural activities. Join Fourth Arts Block as they present East Village Eats, the third annual self-guided tasting tour of some of East Village's best restaurants, while supporting the arts in NYC! Featuring a special selection of the neighborhood's eclectic cultural cuisine, this event will take place Saturday, October 27th from 1:00PM to 5:00PM, followed by post-tour happy hour specials at three participating bars from 5:00PM to 7:00PM. Sample both sweet and savory bites and sips from 13 participating restaurants and bars in the East Village, who have joined together to support FABnyc, including Tortita de Carnitas from Hecho en Dumbo + Salón Hecho, spicy cold noodles from Hot Kitchen, grilled bratwurst with homemade curry ketchup from Wechsler's Currywurst and a short rib pierogi from Veselka Bowery, just to name a few of the delicious ethnic bites! Tickets include a taste at each participating restaurant, happy hour discounts at three participating bars, a tour map and a raffle entry for an East Village theater and dining excursion. Special discounted tickets for only $30 will become available starting tomorrow, Tuesday, October 9 on TimeOut Offers. The regular ticket price is $60, so grab this deal before they are all sold out!